Available for sale at HOMECO in Cumby, Texas. 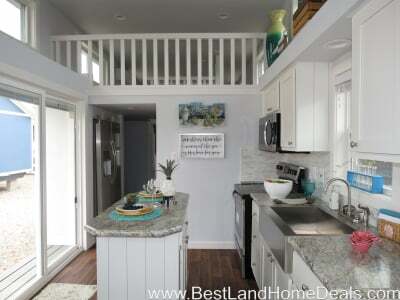 Our singlewide floorplans range from 600 square feet to a little over 1300 square feet. 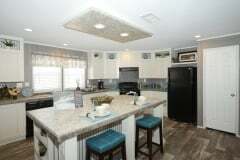 Choose from one bedroom, two bedroom, three bedroom, or four bedroom singlewide homes. 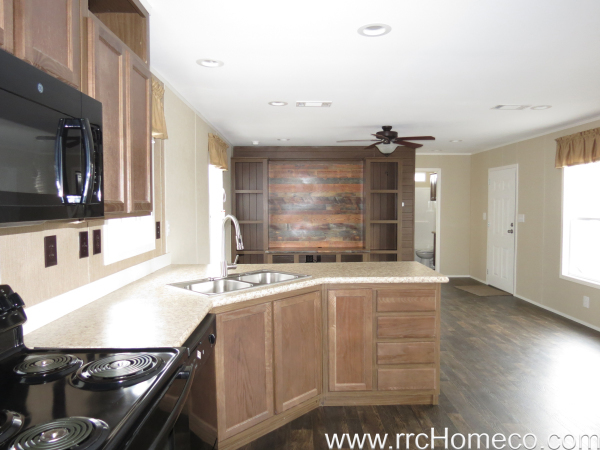 Oak Creek offers a wide variety of singlewide floorplans. 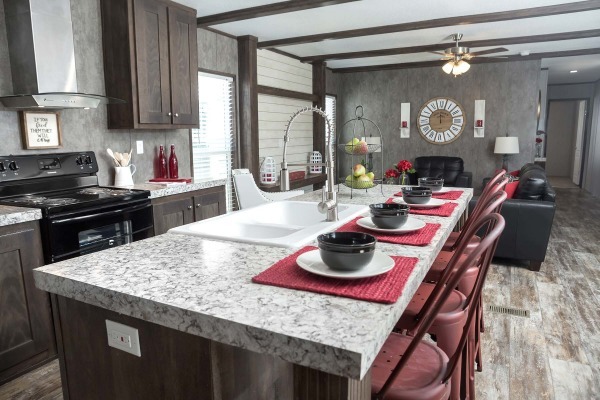 Jessup Housing offers two and three bedroom singlewide floorplans. 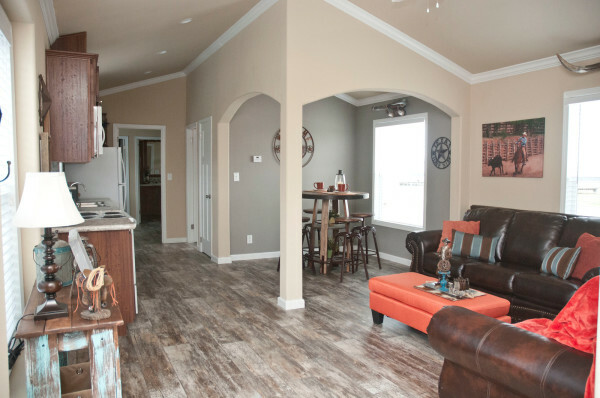 The Athens Park Homes Cimarron Classic Series offer Clerestory Windows with a Vaulted Ceiling. 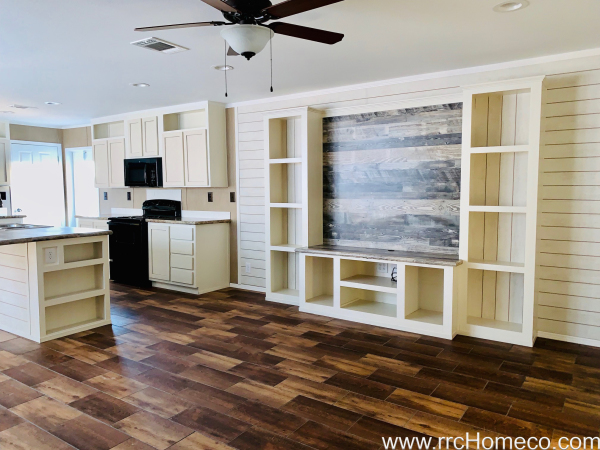 Oak Creek Homes offers this 18 wide floorplan that gives you additional square footage while still saving on delivery/set costs. 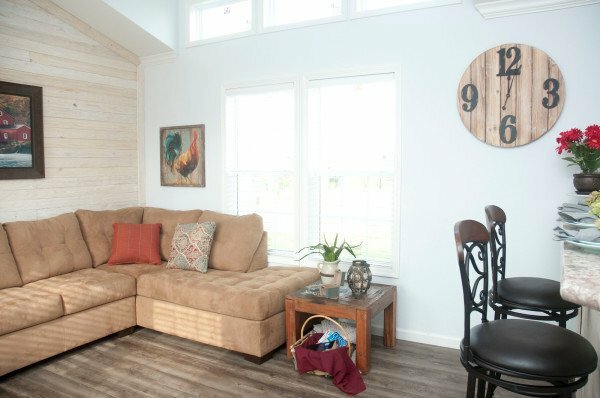 Homeco offers full Southern Yellow Pine Accent Walls as well as log, cedar, and Blue Ponderosa Pine. Homeco offers full tape and texture interiors in some of our singlewides. Homeco offers metal or shingle roofs and a variety of porch options. 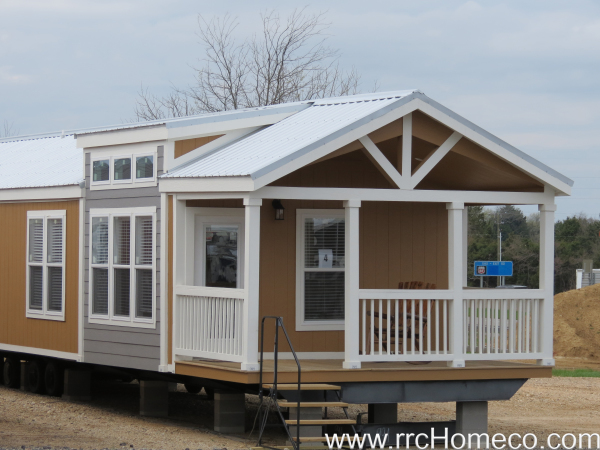 A variety of exterior choices are available including porches and metal roofs. Homeco offers a variety of porch and skirting options. 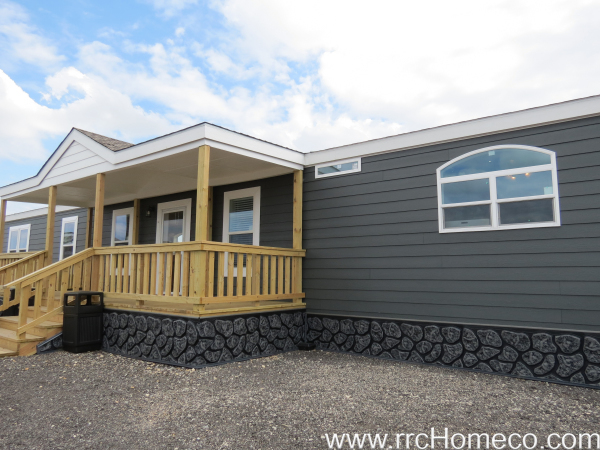 Let us build you a covered porch or uncovered deck and get creative with your skirting options. Here we are featuring the faux rock skirting.